The Ms. Missouri Pageant is administered by the Missouri Pageant Alumnae Club under the direction of Susan Pellegrino, State/Pageant Administrator; Helene Siegfried, Pageant Administrator; and Nancy Pittman & Judy Davis, Stage Co-directors. Many thanks for their hard work and and dedication! The 2019 Missouri Senior America State Pageant will be held from 2:00 to 4:00 PM on July 14, 2019 at the Florissant Civic Center, Florissant (St. Louis), Missouri. For more information, see the Ms. Missouri Senior America website or contact msmosenior@gmail.com and plan to be inspired! Congratulations to Sandi Wright, Ms Missouri Senior America 2018, and to the Missouri Pageant Alumnae Club for a wonderful State Queen! Sandi has dedicated her retirement to helping women “find their voice” through music. She is a volunteer barbershop chorus director, visual and vocal coach, youth music camp instructor and a certified contest judge for barbershop and collegiate a cappella competitions. An advocate for keeping music and the arts in public schools, she was instrumental in forming the Sweet Teens Choir, an after school project sponsored by Sweet Adelines International and Girls Incorporated. Although she has been singing since she was a toddler, stardom first struck when Sandi was awarded the lead role as Daisy Mae in her high school’s production of L’il Abner. Since that time, she has earned two international barbershop quartet championships and several silver and bronze medals in world singing competitions. She has performed in every state in the USA, and in Canada Europe, and New Zealand, including two appearances at Carnegie Hall as a member of Ambiance, a world-renowned a cappella quartet. 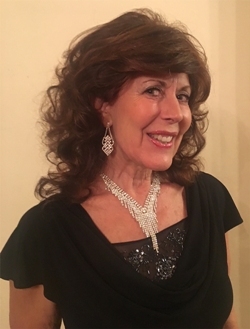 Her singing ensembles have made nine recordings, and two of them received “best album” honors from the Contemporary A Cappella Society of America (CASA). As a chorus director, she led her St. Louis Harmony Chorus to 14 regional championships and several international harmony achievement awards. Sandi is currently directing the St. Louis Vocal Project, a diverse a cappella chorus for all women who want to sing, perform and improve their voices. Sandi retired from a successful career in nonprofit public relations, marketing and development where she worked with homeless teen mothers, drug prevention organizations, and with urban outreach programs. She served as national chair of the Red Ribbon Campaign, and worked closely with George H. W. Bush and his administration in its fight against drug addiction. Sandi is proud of her St. Louis roots, as her ancestry goes back to the city’s founding. Married for 33-years to a newly-retired college professor, she and her husband, David, have three grown children and four grandchildren. David and Sandi both enjoy a cappella harmony and together they travel the world coaching and judging. But when they’re home they live in the City of St. Louis in a historic home built in 1904.